(Anmol: Here is a great idea for a New Year’s Resolution. Why don’t you plan on taking a trip to an ashram, monastery or other spiritual community this year? Such trips are a great way to deepen your spiritual practice and see yourself and the world in a different light. For more inspiration to do this, read the following article on Meditation Practice in Spiritual Communities from guest author Axel Gjertsen. Axel, who was an actual Buddhist Monk, now shares his wisdom, knowledge and expertise with you on his great, free meditation website Axel G (http://axelg.com/). Do check it out. In the previous posts we have learned that anyone who is serious about their practice benefits greatly from doing meditation retreats. Intensive practice is like a spiritual superhighway if you like, but not everyone is willing to put in 5-15 hours of meditation a day. In this article we’ll take a look at a gentle alternative that also leads to solid progress, which is to practice mindfulness and meditation while staying in a spiritual community. There are many spiritual communities both in the west and the east. It can be ashrams, temples, monasteries or spiritual centers that don’t follow any particular tradition. They all share a common vision of developing kindness and awareness. Look for a community where the members are dedicated and friendly – trust your gut feeling. Living in a community is most conducive to spiritual practice, and the longer you stay the more progress you make. Anything from 5-90 days is enough time to really get into your practice. 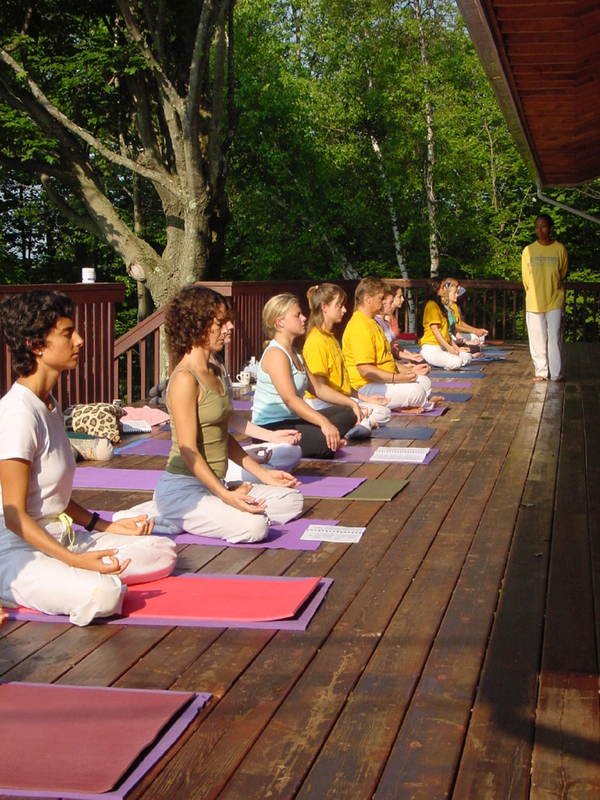 Why not spend part of your next vacation in an ashram? Unlike meditation retreats, life in a spiritual community is easygoing. It’s a gentle approach to spiritual practice. There may be some group meditation in the mornings and evenings, but not for more than 45-60 minutes at the time. Instead, you spend 3-5 hours a day supporting the community. It could be general maintenance, gardening, preparing food or helping out in the library. You are encouraged to work mindfully which is a powerful form of meditation; in fact, it’s the very heart of spiritual practice. The afternoons are generally free, so you can read, meditate or share ideas with the other visitors. By living and practicing in a spiritual community your mind becomes more steadfast, which deepens concentration and mindfulness. As a result, you benefit more from your meditation practice. In the beginning, it’s helpful to do away with as many distractions as possible. Since most communities are established in quiet surroundings, they are really conducive to meditation. As you may already know, group practice generates a lot of mental energy which supports concentration and makes it a lot easier to meditate. Motivation also comes naturally when you’re living with like-minded people. Finally, if you have any problems with your meditation, there are plenty of experienced meditators right at your doorstep… Best of luck with your practice! Axel Gjertsen is a former Buddhist monk and lives in Thailand. He runs axel g which is a personal development site with a focus on meditation. Visit his website to learn more about spirituality and meditation!